Comprehensive review of 310 Tea Slimming Detox. 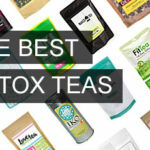 See what real experts and actual users have to say about this detox tea. 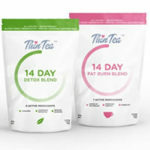 310 Tea Slimming Detox is our favorite detox tea right now, that’s why we gave it 5 out of 5 stars. I can’t say enough good things about this tea. It’s SO easy to use, and the ingredients are great. It doesn’t have any harsh laxatives that other slimming teas do, which is a huge upside in my opinion. I didn’t need to worry about using the bathroom excessively or having stomach issues. I ended up losing a few pounds while using 310 tea, but even better, I felt amazing. I had energy, and felt healthy all around. This tea also tastes really good. It has a little sweetness to it, and I found it tastes like sweetened green tea. If you replace this tea with your sugar filled coffees and sodas, I think you’ll see the same great results that I did. This is also one of few teas I’ve found that offers a money back guarantee. I love that they have enough confidence in their product to stand behind it. This tea is very high quality and will be a great edition to your weight loss journey! 310 Tea Slimming Detox teabags are very easy to use. It comes with 28 pyramid teabags, and the directions say to steep for 5-10 minutes then enjoy. This tea has caffeine in it so make sure to enjoy in the morning or afternoon, they’re also great to use before a workout. I didn’t have any problem at all using these, and it was nice that I didn’t have to worry about over steeping the tea, because it doesn’t have any laxative ingredients in it. I really enjoyed the taste of this detox tea, it tastes different than any other tea I’ve tried. It’s sweet (so you won’t need to apply any extra honey to it), and smooth. It kinda tastes like sweetened green tea to me (which is technically is). It’s a universal taste that I think most people will like. It’s not strong or pungent at all. 310 Tea Slimming Detox has great ingredients. It has Green Tea, which is great for improving your metabolic rate; in turn helping you lose weight. Green tea also has caffeine in it, so it’s helpful if you need a boost in the energy department. Rooibos Leaf and Stem are also included in this detox tea. Rooibos is known to promote weight loss by blocking the storage of fat in your body. Guarana can help suppress your appetite while also curbing your cravings. It’s also been known to pack a good punch of energy! The biggest plus about this detox tea is that it doesn’t have any laxative in it. So you don’t need to worry about it having harsh effects on your digestive tract, and depleting your body of nutrients it needs. I love that! This detox tea can really help you lose weight in the long run. It really helped boost my metabolism and curb my cravings. I actually found I was craving healthy foods…crazy huh?! After using it for 28 days, I noticed I lost about 3-4 pounds, which I was very happy with. I replaced my coffee and sugary drinks with this tea, and found the weight started coming off. Keep in mind, I also worked out religiously and kept a pretty healthy diet. 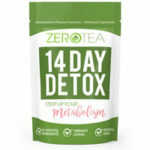 You can continue using this detox tea as long as you’d like to lose weight, which is a huge plus. Some of these teas you need to discontinue after a few weeks because they’re too harsh. I also felt very energized and healthy while I was using 310 Tea Slimming Detox. I looked forward to drinking my tea in the morning, and I also looked forward to the energy boost it gave me. I was very happy with my results and how I felt while using this slimming tea. The only side effect I had was less cravings, which is awesome! 310 Tea Slimming Detox is $29.99 for 28 days. That’s $1.07 per day, which is about average and pretty affordable. Yes, they do have a money back guarantee! You can send the product back within 30 days for a refund if you’re not happy with it. Finally a company that stands behind their products! 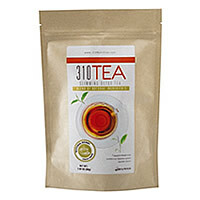 To buy 310 Tea Slimming Detox, Click Here. Results I lost some weight and felt great. Price/Value It’s $1.07 per day, which is pretty average.